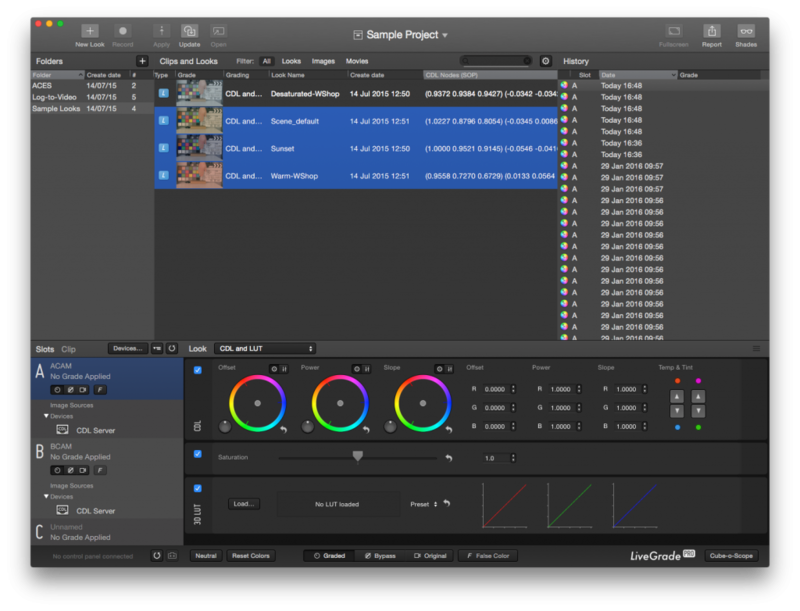 LiveGrade Pro can export looks to a broad range of LUT formats. 1. Just simply mark multiple “Grades” (see fig. 1)with the shift key on your keyboard.You can also make your selection without using your keyboard. Simply hold down your left mouse button and make selection. 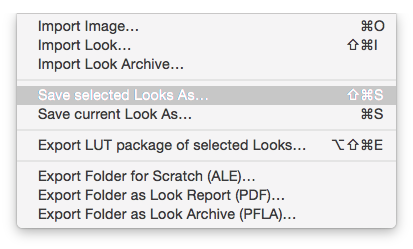 2.Under the Menu “File” select “Save selected Looks As…” (see fig. 2) or you can use Shift+Command+S as keyboard shortcut. 3. 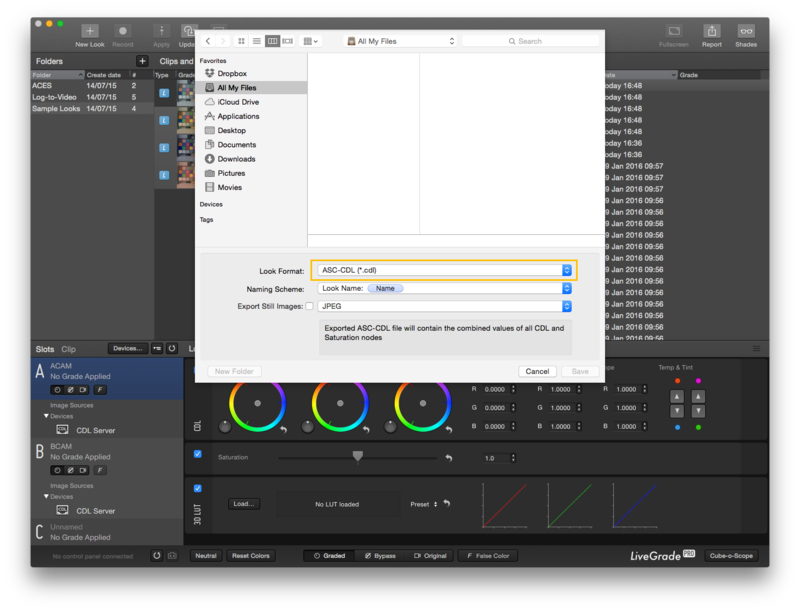 Select your desired export format and naming scheme (see fig. 3) for further usage. 4. Choose your desired destination on your hard-drive and hit “Save”.